My brother-in-law is a pretty picky eater. Understatement!!! However, there's pretty much no dessert I make that he won't eat. And that redeems him from whatever pickiness he has for other foods. As long as he eats (and loves) what I make, we can sustain a healthy relationship. And what's more, he often goes for seconds or thirds. What a mensch! But it's not as often that he actually bothers me to make a recipe twice, still dreaming of that baked good he tasted weeks or months ago. 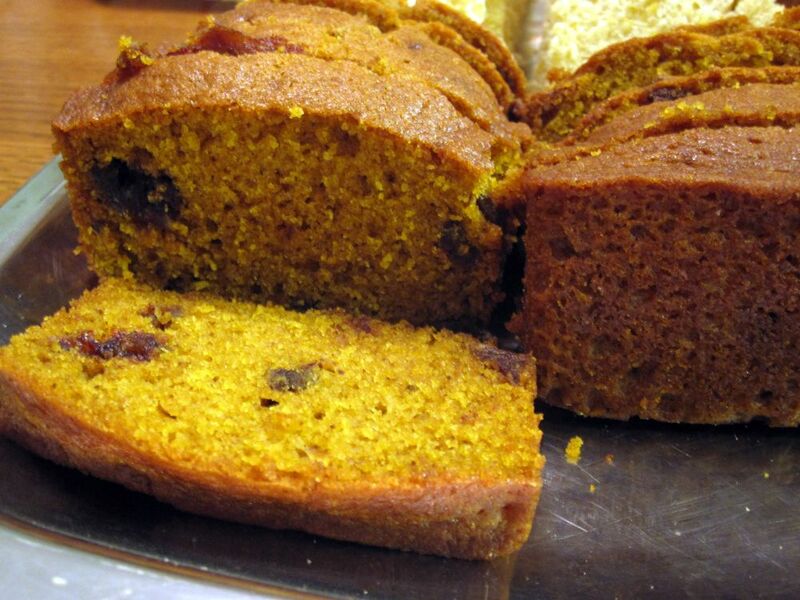 This Pumpkin Bread with Dates is one of those recipes. He first tried it several months ago. And the thought of it has been lingering in his mind and on his taste buds ever since. Every time I'd see my brother-in-law, he'd ask if I brought him some more of this bread. I got tired of saying no. 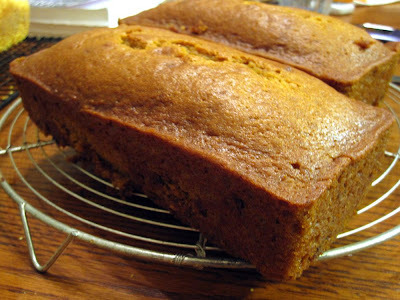 So finally, the next time I visited him, I brought him a loaf. He couldn't believe it. A whole loaf just for him. Sure, I'm a nice sister-in-law. 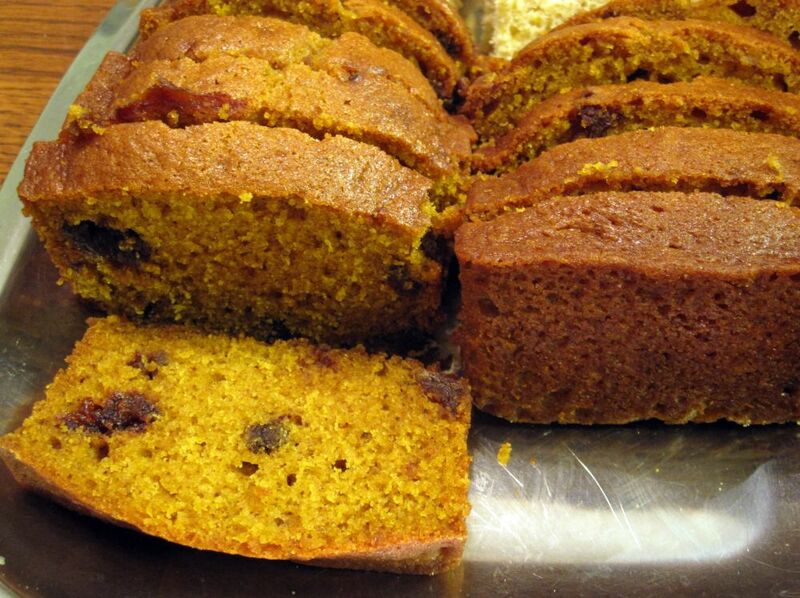 But to see the look on his face when his dream bread materialized in front of him, I'd do it again in a heartbeat; there was something in it for me, too. 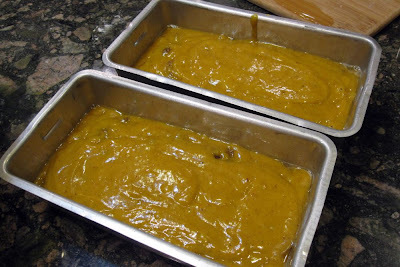 Preheat the oven to 350 degrees F. Grease a 9x5-inch loaf pan or two 8x4-inch pans. 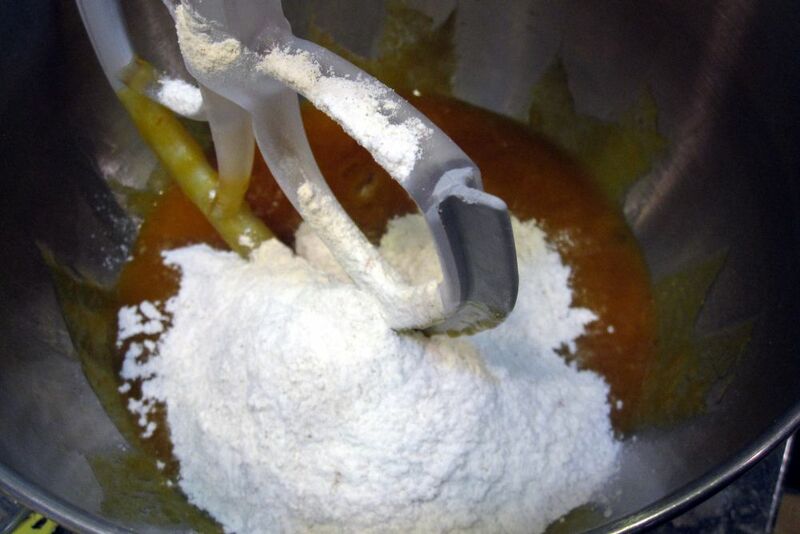 You can use butter, shortening, or nonstick cooking spray. 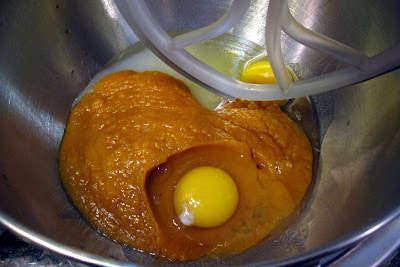 In a medium or large bowl, combine the sugar, pumpkin puree, eggs, and oil. Whisk or beat until smooth, about 1 minute. 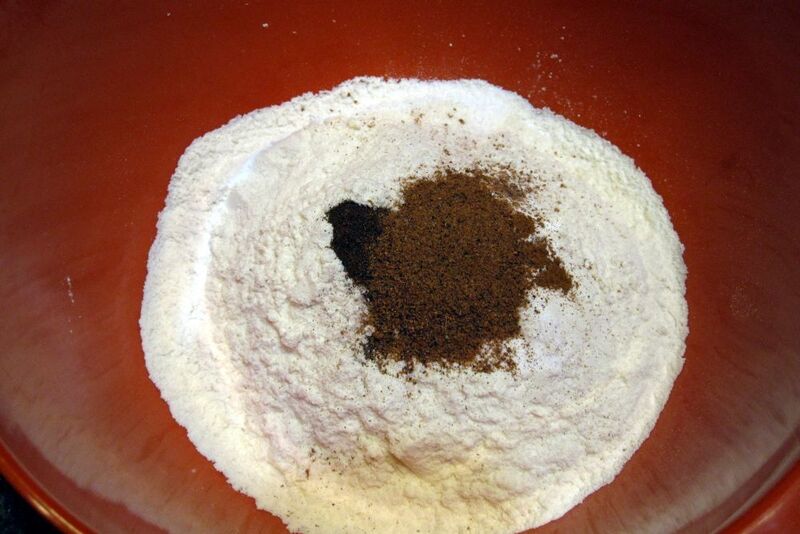 In a separate bowl, stir together the dry ingredients: flour, baking soda, baking powder, salt, cinnamon, cloves, and nutmeg. 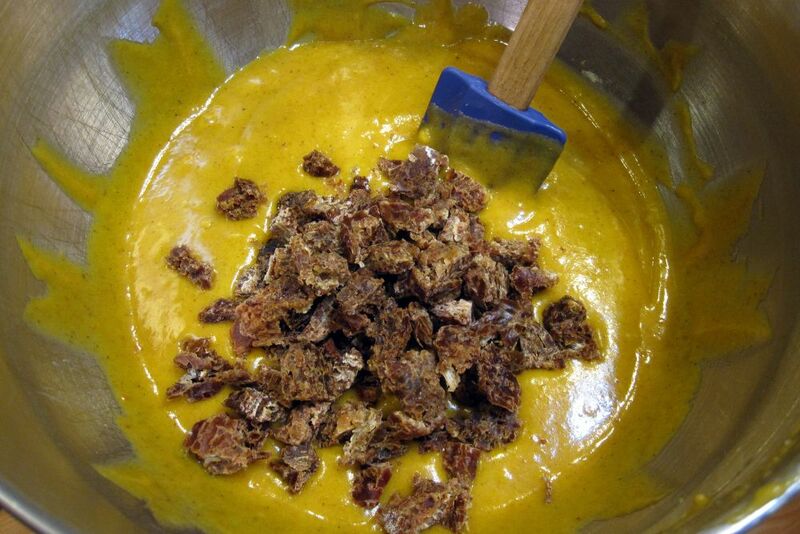 Beat these dry ingredients into the pumpkin mixture until smooth and incorporated. Shouldn't take more than 2 minutes. The batter will be thick. 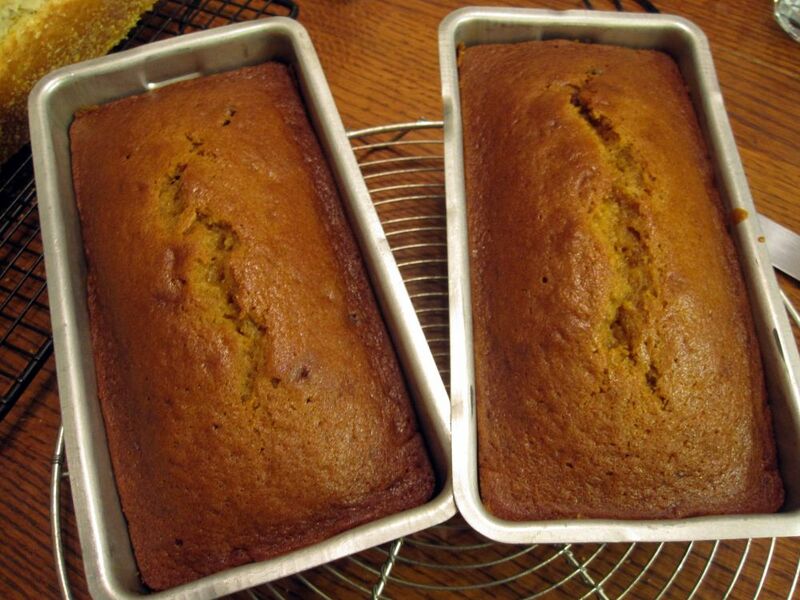 Finally, fold the chopped dates into the batter using a large rubber spatula. Don't overmix. Spread the batter into the prepared pan or pans. 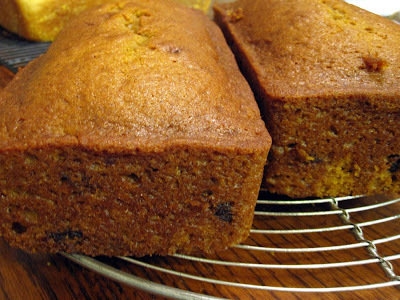 Bake 60 to 70 minutes, until the top is browned and set and you can tell a crust has formed. You'll see a long center crack down the length. Insert a toothpick into the center and if it's done, the toothpick will come out clean. 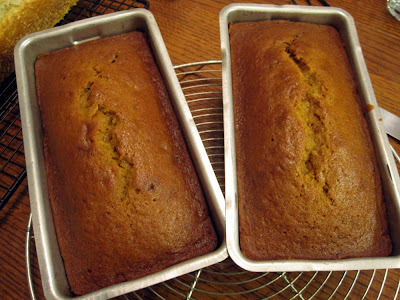 Transfer the pan(s) to a wire rack and let cool in the pan(s) for 10 minutes. Loosen the edges of the loaf with a knife or metal spatula. Invert the loaf onto the rack to cool completely. Serve at room temperature. 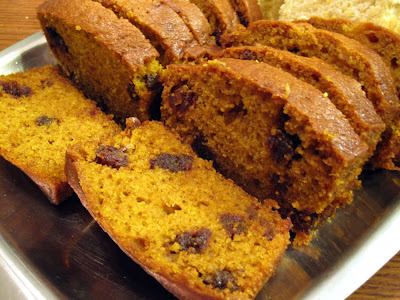 Or give an entire loaf to your brother-in-law for major bonus points. I think you are a very, very generous sister-in-law (daughter and all around human being, too!). 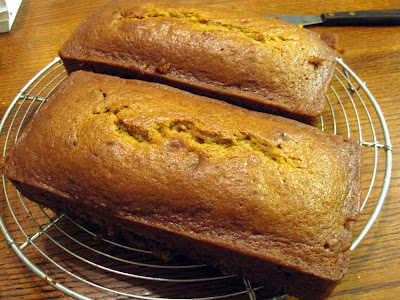 This is one of the best pumpkin bread recipes I've ever had. I can see why Evan loves it! Boy am I lucky! It looks soooooooooo good! this looks delicious! i love pumpkin everything, anytime of year!